Where were we on Wednesday? 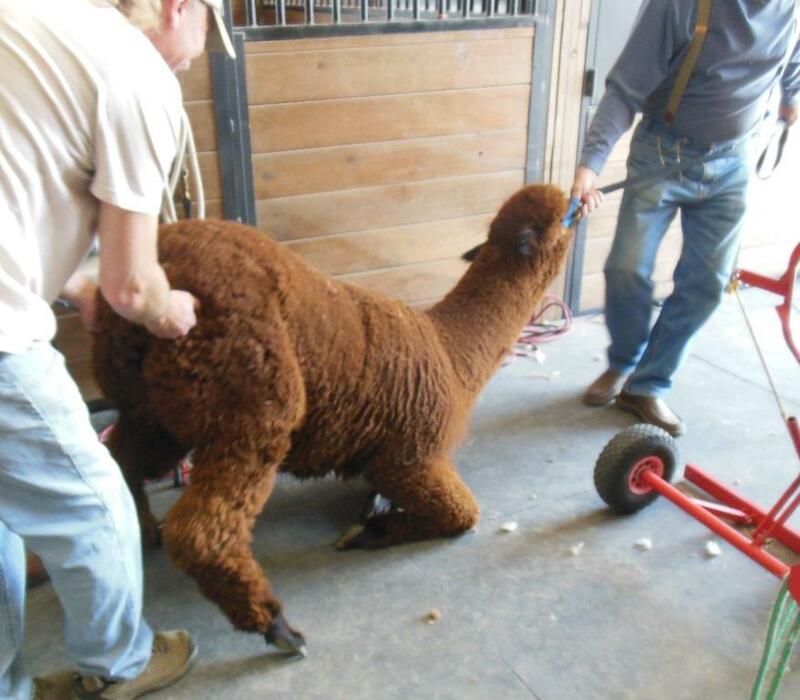 Our apologies, Wednesday was shearing day! 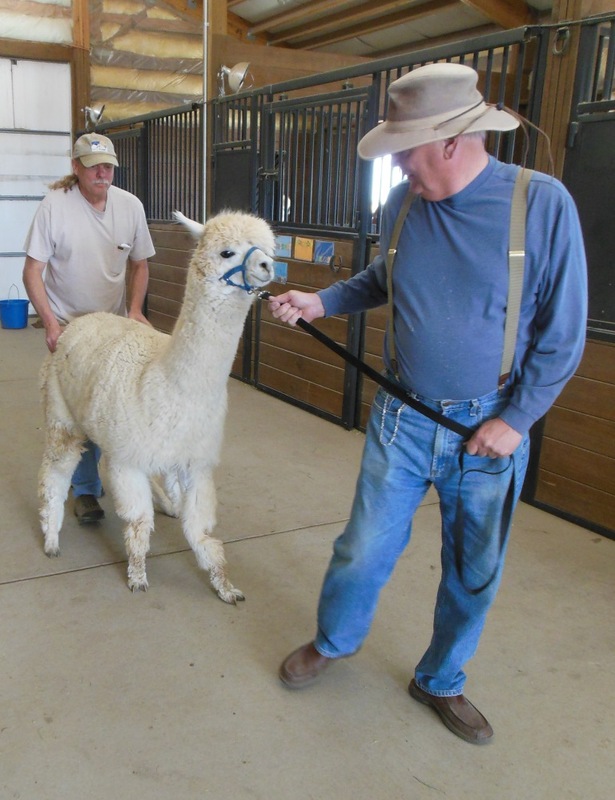 There are 365 days in a year, but we will tell you quite honestly, that shearing day is the only day of the year when you raise alpacas. Momma here, trying to show you just a brief glimpse of what shearing day is all about. Just ask Kirstin, it’s all about the fiber! Tuscany was our first candidate, I have to admit to braggin’ on him for just a little bit. 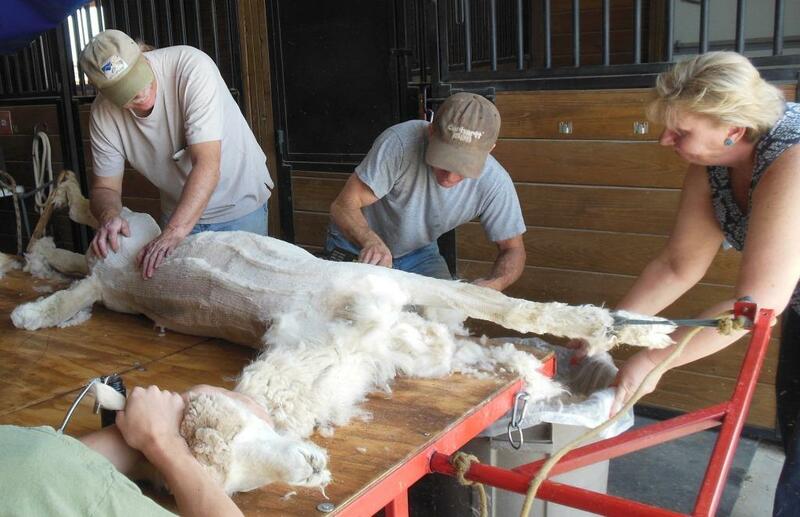 He was so well behaved and his fleece was so clean that I swelled with pride when Scott, our shearer, commented on his good behavior and his clean, allow me to emphasize clean, blanket. 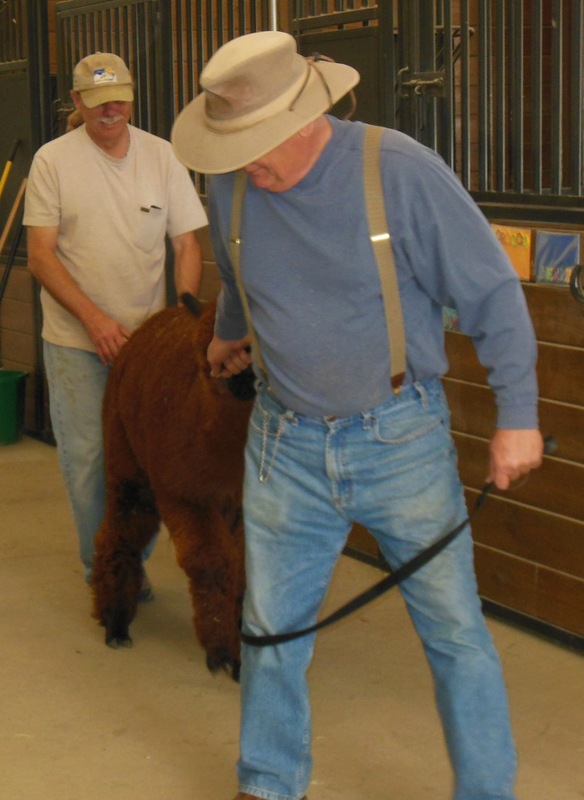 Speaking of raising alpacas, Tripoli humbled me the minute Dad and our friend Roger attempted to walk him down the breeze way. 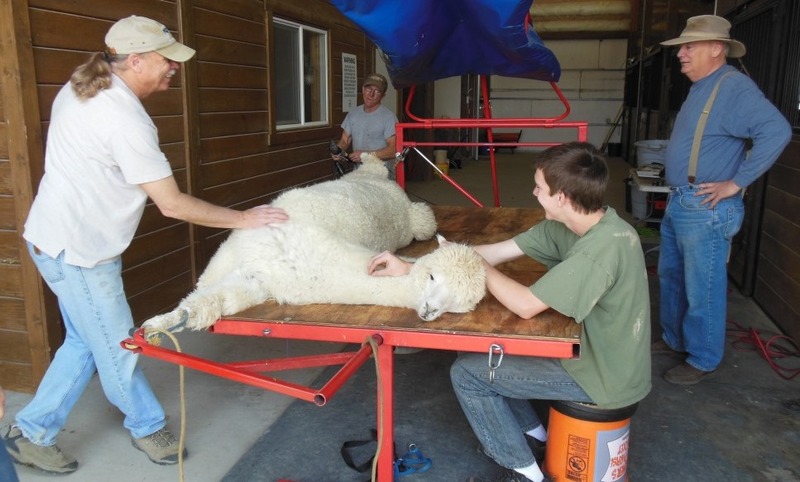 Trip literally had to be picked up all the way to the shearing area, and then raised up onto the table. 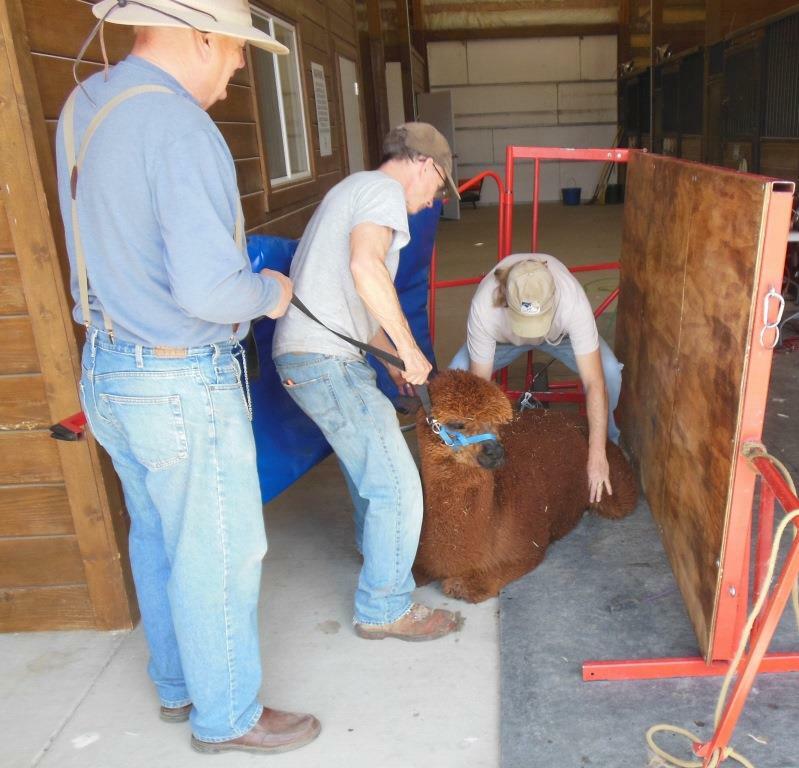 Thanks to Roger for wrangling, Laura for her photos, Colleen for witnessing the ordeal and as always Scott and his son Connor for their gentle and caring shearing. 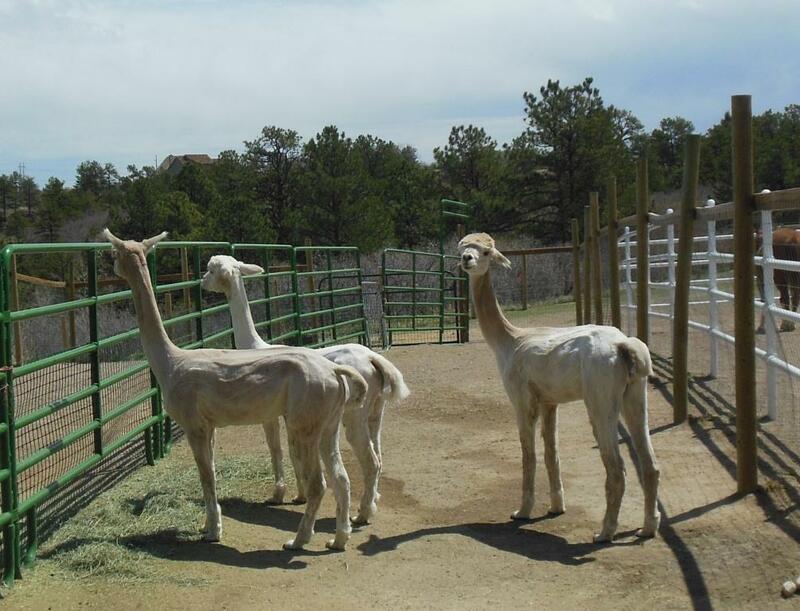 This entry was posted in animals and tagged alpaca fiber, alpacas, fiber, fleece, ranch life, shearing. Bookmark the permalink. Oh the poor little ones – they will most likely appreciate it with temps near 90! They look so forlorn. Poor boo-boos. 😦 Ah well, you’re right, they’ll thank us for it later.